Sorry, deze pagina is nog niet vertaald. 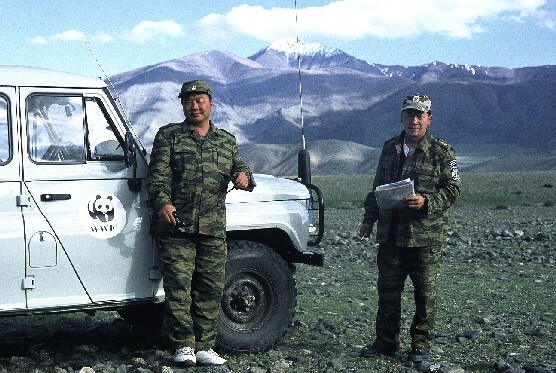 Park rangers spend most of their time in the field, helping people, educating children and making sure that both people and animals are safe. 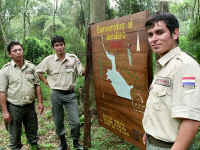 They are friendly, helpful people, who always try to make you feel welcome in a national park or nature reserve. Modern park rangers have a wide variety of tasks in protected areas, and without park rangers, nature has little chance to remain in good condition. Park rangers are the real conservation workers! Let's look at what keeps a park ranger busy. Park rangers help visitors to find their way in the national park, they give great talks on nature and they educate thousands of school children. They help visitors with information on making their visit an enjoyable and enriching experience. 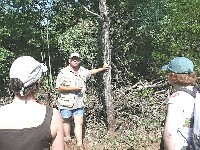 They hold campfire talks, they help in visitor centers, they organize excursions and they answer questions from visitors. Without park rangers, visitors get much less enjoyment from their visit to a national park. One of the effects of climate change is that many regions with warm climates or summers are becoming dryer and hotter. This has resulted in a tremendous increase in forest fires in nature reserves in many parts of the world. During the driest months of the dry season, the skies of Honduras and Nicaragua are completely covered with smoke. Without park rangers to extinguish those fires in time, enormous areas lose their forests and many wild animals that live in them. Over the last decade, Australia has been battling with the largest bush fires in its history. Park rangers are crucial for combating fire. Not only by extinguishing wild fires when they occur, but also by setting fire to the vegetation when it still is moist at the end of the rainy season: so called "prescribed burning". Fires in moist forests burn much less hot and do much less damage. The trees survive, but the lose vegetation that is drying up, disappears and when the area has dries up during the dry season, there is far less risk that such area starts burning later during the hot season. Also, park rangers give talks in the local communities on how to prevent forest fires. You can imagine that such programs are extremely important for keeping nature in protected areas in good shape. Local communities around and in nature reserves are almost always poor. In fact, the communities around protected areas, usually are among the poorest in the country. This is because protected areas are usually in remote regions where the development and infrastructure still has not come. When you are poor, you try to do everything to feed your family and to earn some money. Having a protected areas nearby is a temptation for many local communities, particularly if they don't receive any benefits. Park rangers spend much of their time working with local communities helping them to get benefits from the protected areas. They help communities to make and sell souvenirs that can be sold to visitors to the national park. They give talks on nature during community meetings and at schools and they organize environmental education classes and excursions to the reserve for school children. Through such educational programmes, the park rangers help local communities get benefits from the park and they turn local communities into friends of the reserve in stead of threats to nature. Of course there will always be some people who don't respect the law and go out poaching animals and cutting down the forest. It has been shown that in any nature reserve with sufficient park rangers, that poaching and illegal cutting of trees decreases enormously, even if they spend most of their time doing many tasks that have nothing to do with patrolling. In fact, in Latin America, rangers hardly ever have to give a fine and most of the time they don't carry a weapon. Of course, in some protected areas, particularly in Africa, poaching is a very important problem, and when needed, park rangers go out in patrolling raids in defense of animals. In some countries rangers have to fight real battles against poacher gangs armed with automatic rifles. Besides being helpful, park rangers are very brave people when necessary. During the last 5 decades of conservation history, many have lost their lives battling organized poaching, particularly in Africa. As they work in many places in and around the national parks, the park rangers see and hear what goes on in their area. In fact, they become the eyes and ears for the directors of nature reserves, as they get to talk to everybody and are continuously observing what goes on. An important task of a park ranger is to make notes of what goes on and to write down their observations of rare animals: they monitor wildlife. 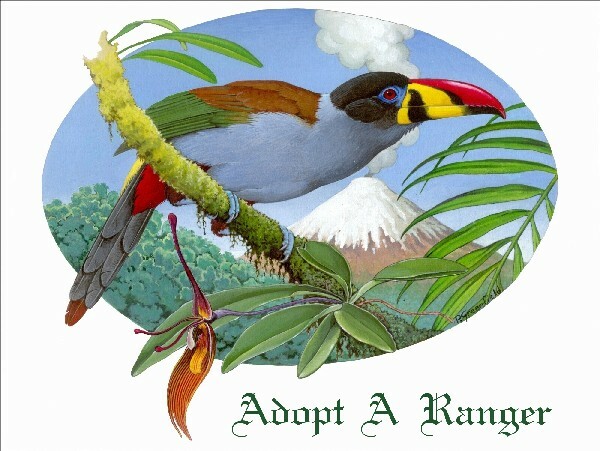 Monitoring of rare animals becomes very expensive if you have to have it done by biologists. 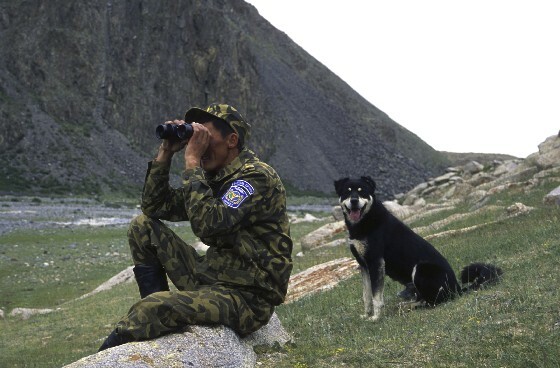 Rangers, who are in the park anyway, can monitor animals at almost no extra costs to the park. 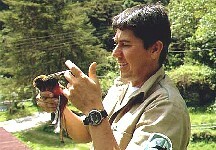 park rangers protect nature and wild animals. HOPE and progress for local communities.